This is the first Monday of Eastertide - the 50 days after the Resurrection. It is a joyful time! Hallelujah! Today I'm celebrating Design Wall Monday. All that meditating produced a lot of sewing since housework was out, laundry was out, even cooking was low key. We did feast on Easter Sunday, but a friend had invited us over. Coming off my wall is one of my UFOs for the 17 UFOs for 2017 - the top is done! I had to redo 4 of them from the stack I won (think it was in 2009). Those four were very well made. Unfortunately, they were 1/2" too small. Maybe I'll make a table runner from them. It's now sandwiched and ready to quilt. Also ready to quilt (a St. Anne's baby top) is my rolling nine-patch top. These are 15" square and are perfect to highlight a large print. I call it a rolling nine patch because that's the block I started with, but I changed it up a bit. Actually, it is a 25 patch with a nine patch in the middle. I've seen them as 6", 10", and 12" blocks. But that was too many pieces for me, so I figured out how to have only nine. Did it by making flying geese instead of a square and two half square triangles. Much easier - you can see the pattern under my free patterns tab. 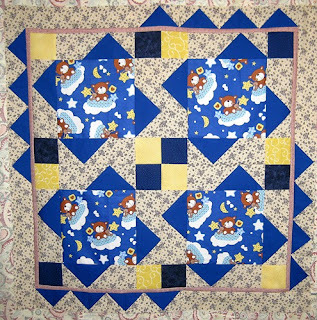 I used the triangles I cut off from stitch/flipping to make those flying geese in the border. No scraps left - yeah! 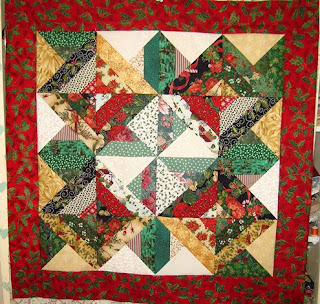 Next was a square for the Fall Festival QAL that Lori at Humble Quilts is hosting. I'm not doing the one everyone else is doing - just a similar one that happens to be a WIP for me. They were suppose to make a house block. Mine has a house block, too, so that's what I made. As I watched Father Brown, this evening, I did some hand stitching on an applique block, too. There's more, but I'll save those for another day. Since we're celebrating Eastertide, maybe I'll have a giveaway this Friday. Linking up to some parties. See the tab above. Blessings, and thank you for walking with me during the past Holy Week. I like that show :) Cute house, and YAY for something off the 17 list! A house block of any sort is a good one. I love your red house with the golden and glowing windows! Beautiful. I echo Nancy's comment with the lovely glowing windows in your house...inspired choice of fabrics but all your quilts are beautiful. I also like Father Brown. Happy Stitching! A wonderful, well-lit and cheery house! 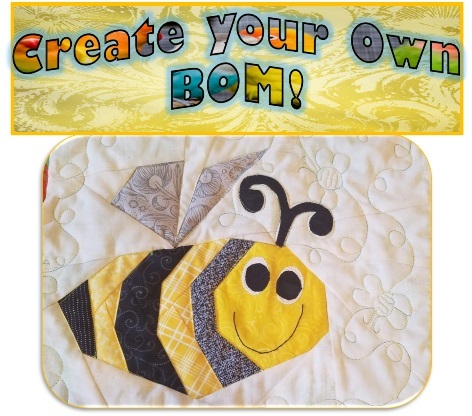 I really like the quilt on your front page, with the rose border, too. I hope your week is going very well! 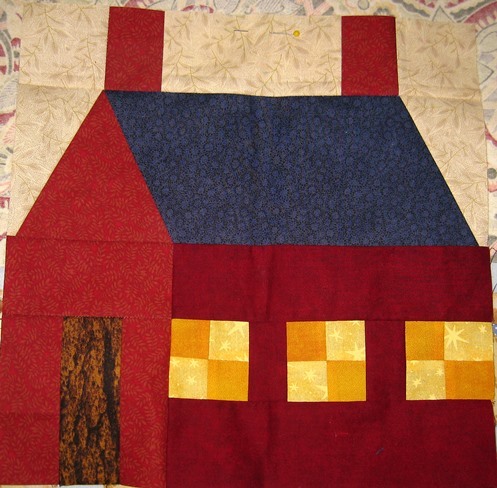 Our last speaker at our quilt guild had a huge quilt with the house blocks. She fussy cut people and animals into the windows of the house. It was so super cute! Now I'm adding that to my "want to do list". Great progress! Love that you made the geese to eliminate scraps. 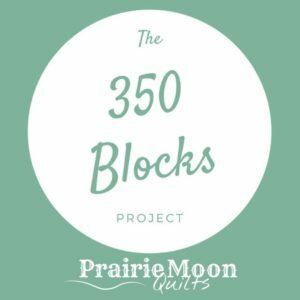 You are making great progress on your projects! That house is very cute!